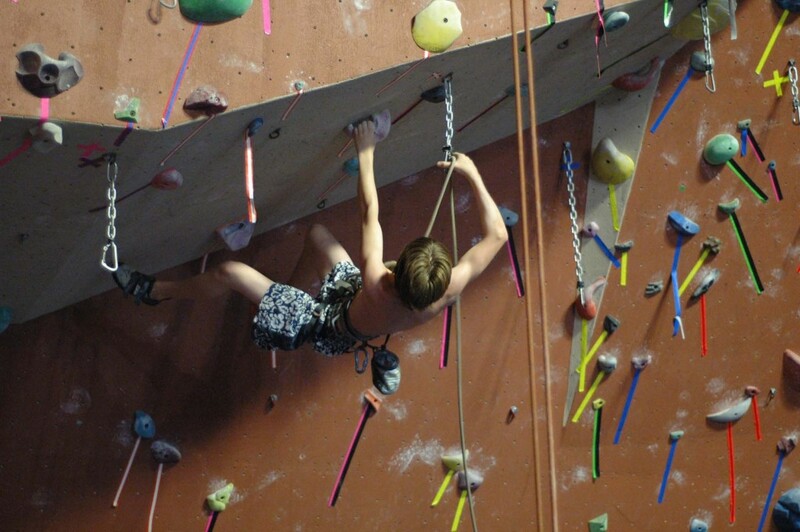 Since 1998, Team PRG has trained the best climbers in the area to become some of the best climbers in the country. One of the longest standing & largest team programs in the region, our focus is on developing skilled climbers who are safe, passionate and can reach their full potential. Current and prior participants in the program include more than a dozen US Climbing Team members, five National Youth Champions and three International Youth Champions. Our teams compete throughout the year in youth events around the area. In addition, Team PRG offers several trips throughout the year to world class climbing areas such as the Shawanagunks, Red River Gorge, New River Gorge and elsewhere. Here our team members hone their mental and physical skills on some of the best climbing the US has to offer. * Team members are required to attend two practices per week. Specific times are dependent on placement in Senior and Junior Teams. Placement is dependent on climbing ability, safety skill levels and experience. Coach’s recommendation is required. For more information on becoming a Team PRG member click here! It looks like we have some interest in doing a Bouldering Trip to Mt. Gretna so we will do it! We do not want to overrun the area so space limited. Because of temperature, length of the day, and difficulty of the area, I have to recommend that little ones are given the “Okay” by me before committing. No outdoor experience is required. PRG Coaches will be on site to monitor safety and teach outdoor skills. Because we want to keep the price low, I may ask parents to help with transportation to avoid renting vans. So, I announced at practice that we are looking into running a second heat for the Youth Portion of the MB considering we had such a demand from people who signed up too late. This would take place Friday night from 7 to 10. If you are interested and able to make it I need to know ASAP!!! If I have enough people interested we will do it. It is still “on the fence” as of now. I created this simple template for anyone who wants to use it. Feel free to put your contact info on for everyone to get connected! For those of you not familiar with Google Docs, everyone can edit the info at any time. All you need to do is type in the info. It is basically an excel sheet. Doylestown just sent me over the link for their comp. Apparently, it is filling up very quickly so sign up fast if you need locals! Also, for parents who were not at the parent meeting, please make sure that you stop in and fill out a team contract so we can officially register your kids for team this year. This will be a time where I can explain the general layout of the year and answer any questions. Kids are encouraged to join and meet the coaches / climb while I meet with parents. Official practice will start the following Monday. Follow the link below to view the updated details sheet. Practice schedule has changed since last year!